You use a word processing program to create a text document. You use a spreadsheet program to calculate sales data. You use a publishing program to design and lay out a brochure. In these cases, the application helps you create the end result. With Microsoft Office Project 2003, this isn't so. Although Project 2003 helps you create a project plan, the actual project is being executed by you and your team, who are carrying out the tasks to fulfill the overarching goals of the project. It's up to you to track and control the actual project, using the project plan as your essential road map. When effectively maintained, the project plan is a model providing an accurate picture of what's currently going on in your project, what has happened in the past, and what will happen in the future. 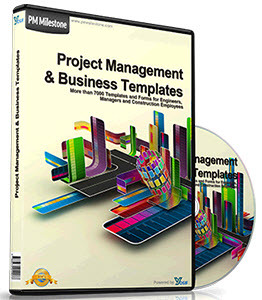 This chapter describes project basics and the phases of the project management process. It also outlines how Microsoft Project fits into the world of your project. You'll understand how you can use Microsoft Project as your project information system; that is, the essential tool for modeling your project and helping you efficiently and successfully manage it. If you're new to project management, read this entire chapter. If you're an experienced project manager but new to Microsoft Project, skip ahead to "Facilitating Your Project with Microsoft Project" later in this chapter on page 45.